Staff were extremely helpful at all times, we would definitely staff here again and recommend to all. Awesome central location for food, transport and shopping. Nothing fancy great location rooms are a bit old. Getting a little tired now, but great location close to everything and represents value compared to some of hotels close by. We have been to Hawaii approx. 20 times but it is now getting very expensive especially with the exchange rate at the moment. Eating out now has become very expensive. Thank you for your valuable feedback on Sheraton Princess Kaiulani. Unfortunately the slide in the US Dollar has meant Hawaii isn't as affordable as it has been in the past, however we are pleased that you found your hotel to represent value and enjoyed its central Waikiki location. 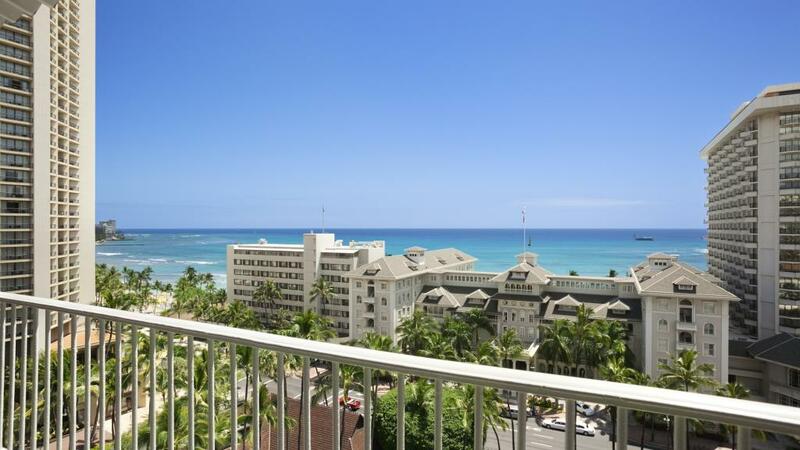 This is a great hotel to stay in the heart of Waikiki - you can walk to wherever you need to go (as in making a dining choice). Centrally located, and see many tourist options. Everything was clean maintained and at night the shows were very entertaining. Our room at the Princess Kaiulani was clean and comfortable, though begining to show its age, especially the bathroom and balcony areas. Though the reception area has been \"glammed- up\", the common area around the pool and outdoor dining area definately has a tired \"60s\" feel about it. As far as location of our room in the High Ocean View Tower, this was excellent with great outllook towards both the ocean and the mountain area inland from Waikiki, with easy access to the beach, shopping precinct and restaurants.